Welcome to SEV Staffing, Inc. Your company’s output depends highly on your workforce. If your business is growing and needs to be filled with the right staff, SEV Staffing, Inc. leads the industry in providing the appropriate and suitable staffing solutions to companies that are expanding their services. For years, SEV Staffing, Inc. has been providing recruitment and placement services to various companies that need staffing. Our services are consistent and reliable, so you can be sure of the quality of our work. The employees in our pool are potential assets to your business. 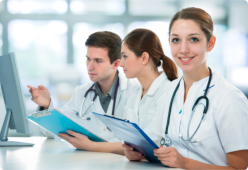 They’ll work towards the accomplishment of your goals and objectives with Medical Staffing, General Staffing and Recruitment Services in Houston TX and Beaumont TX. We have recruitment professionals, with years of experience in the field, that will match the ideal employee to the needed position. With SEV Staffing, Inc., you can eliminate undesirable expense of your time and money. Our cost-effective services can cope with the changing needs of your company. Talk to us today. We’ll match the right solution to your staffing needs. Call 281-427-5437 for Medical Staffing. To search open jobs, click here. If you are a licensed medical professional, we have a comprehensive application programme specially designed for you – includes competency tests, skill checklists and various forms – all to help you land that job you’ve always dreamed of. We keep an active job bank to readily fill up vacancies, 24/7. You may email, visit or call us – we have professional staff who are always ready to assist you. Or, you may simply upload your résumé online and wait for our call.